Purdue University's Agronomy Department maintains two water quality research facilities serving as "laboratories" for field-scale studies of agricultural effects on surface and subsurface water quality. These fully-instrumented field stations allow research in soil ecology, pesticide transport, crop system management, and nutrient cycling. Using test plots large enough to accommodate real agricultural practices, each site has data-logging instrumentation which records local rainfall, soil water flow, and triggers automatic sample collectors. Collected samples are analyzed in various labs studying nutrient, tracer, pesticide, and metabolite transport. Visit each site's page for more specific information on station design, instrumentation and current projects. The Water Quality Field Station (WQFS) is located next to the Agronomy Center for Research and Education (ACRE) near West Lafayette. The Experimental Drainage Project, located at the Southeast-Purdue Agricultural Center (SEPAC) in Jennings County, is designed to study. These two sites are operated in conjunction with researchers in Agronomy and Agricultural & Biological Engineering. Tile drains are pipes made of perforated plastic, burned clay, concrete, or similar material, buried about three feet below the surface of a field and at a slope designed to collect and carry excess water from the soil. In soils that tend hold a lot of water or have a water table that is close to the surface, drainage allows crops to be planted earlier in the spring and keeps water from pooling on the surface or saturating the root zone so much that the crops 'drown'. The use of tile drains (and other drainage measures) have have allowed the North Central U.S. region, which has fertile soils that are often stay too wet and cold in the spring for most crops, to become one of the most productive agricultural areas in the world. However, while enhanced drainage of cropland has produced higher yields economically, there are environmental costs. Large areas of wetlands have been lost and there is great concern over about the rapid, direct transport of excess nitrates and pesticides to surface waters. Most of the work at the Experimental Drainage Plots at SEPAC, as well as some of the projects at the Water Quality Field Station have focused on these concerns. 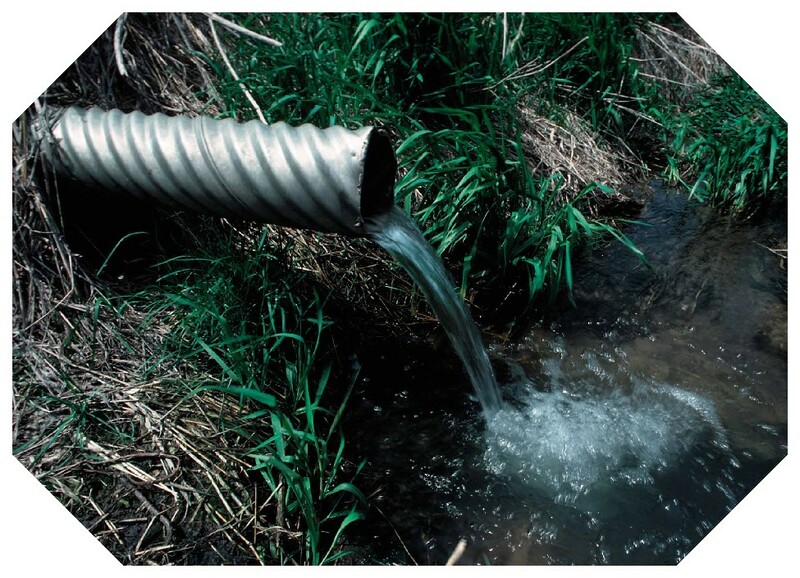 For more information on agricultural drainage and its environmental impact, Ohio State University's extension bulletin #871-98 is a great resource. The Indiana Drainage Handbook also has information on the permitting process for drainage projects and design recommendations. What is Total Maximum Daily Load (TMDL)? 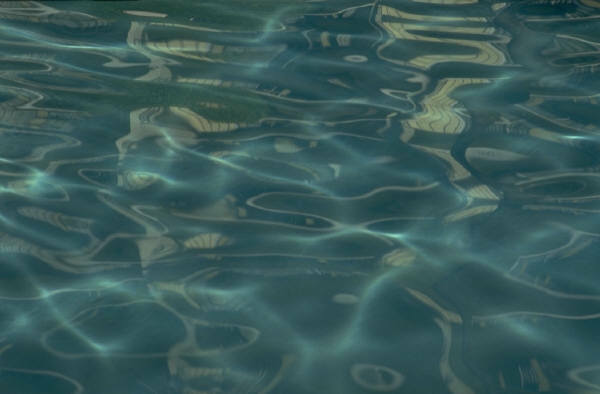 A TMDL or Total Maximum Daily Load is a calculation of the maximum amount of a pollutant that a waterbody can receive and still meet water quality standards. A TMDL is the sum of the allowable discharge of a single pollutant from ALL contributing point and nonpoint sources. The calculation must include a margin of safety to ensure that the waterbody can be used for the purposes the State has designated (ex. fishing, swimming, or drinking water), and must also account for seasonal variation in water quality.Water quality standards are to be set by individual States, Territories, and Tribes. These entities identify the uses for each waterbody and the scientific criteria to support that use. Purdue's water quality research facilities are used to study how various management practices can affect discharge from agricultural operations. Further information about TMDL's at the national level can be found at the U.S. EPA's TMDL site. Information on what the State of Indiana's work on TMDL's can be found here. Comments or questions? Contact web designer.